« Worldwide Exclusive Villas and Hotels® » is an international organization which offers exclusive villas for rent around the world with luxury hotel services. All properties are owned by « Worldwide Exclusive Villas and Hotels® ». « Worldwide Exclusive Villas and Hotels® »’s luxurious selection is the perfect choice in truly unique places..
Marrakesh, the famous Red City. Cannes in the French Riviera, well known for its beautiful beaches, its sumptuous sea front, its jet set gatherings and its Film Festival. Saint Martin, a beautiful Caribbean island . Punta Gorda, a superb getaway on Florida’s Southwest Coast. All our luxurious holiday villas are tastefully furnished and user-friendly. « Worldwide Exclusive Villas and Hotels® » is an ultimate experience to discover unforgettable and truly exotic destinations. The “Riad et Palais des Princesses”, in the heart of the city walls the Medina of Marrakech in the district of Riad Zitoune El Keddim, is only a 2 minutes walk from the famous Djemaa el Fna, universally known and classified as a UNESCO World Heritage site, and from museums and souks. The “Riad et Palais des Princesses” is a charming guest house with true oriental tradition. This magnificent residence composed of an ancient Riad and a Palace with an exclusively and refined decoration, offers its hosts 17 rooms and suites, all in contemporary Moroccan style. 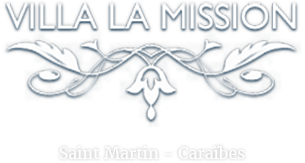 Situated in the French part of the Saint Martin / Sint Maarten Island in the Lesser Antilles, the villa “La Mission” is a harbour of peace combined with refined luxury. “La Mission” possesses a private beach, a unique privilege in the island. The majestic villa “La Mission” with its exceptional location and is an intimate vacation spot that allows you to relax or just to enjoy an idle vacation. Punta Gorda, nestled along Florida’s Southwest Gulf Coast, is a charming, picturesque subtropical town. “The Old Plantation”, located next to a peaceful river, is a roomy, colonial type estate. Made up of two villas surrounded by a vast park, “The Old Plantation” is ideal for families or couples eager to enjoy the Nature and the town. In fact, there are many outdoor activities such as fishing contests or excursions to the Everglades National Park. You may also wish to go shopping in Punta Gorda’s shopping malls. Ideally situated in the French Riviera, on the California Hill, a few minutes from the famous Croisette Boulevard, the manor “La Lezardière” is a real jewel with a breathtaking view of the bay of Cannes and the nearby Lérins isles. Surrounded by luxuriant tropical vegetation, “La Lezardière” with its 1000 square meters, five rooms and five completely independent pavilion suites, each of which lies on a different terrace, is unique. Must on the Leman Lake, Montreux is one of the nicest city of the Swiss Riviera. Montreux enjoys an exceptional climate, which is the softest north of the Alps. The city can easily compete with the French Riviera and its bewitching charm, architecture and modernity.